With the popularity in my household of “Hours…” that year, the thought finally occurred to round up all of the Rykodisc albums that I did not yet have in order to get their bonus tracks, which were conspicuously absent from the new 1999 Virgin pressings superseding them in the marketplace. I could see those becoming more expensive that I would be comfortable with a few years down the line unless I acted quickly. So I made efforts to buy the four remaining discs online, which in 1999, meant eBay. I purchased all of the albums below in a feeding frenzy that took no longer than a month or two. None of the purchase prices were inhospitable to me. I don’t remember anything being above retail had these title still been available in stores. Finally hearing the 1969 album, which had undergone much revision of titles and covers over the years, was a somewhat non-plussing affair. 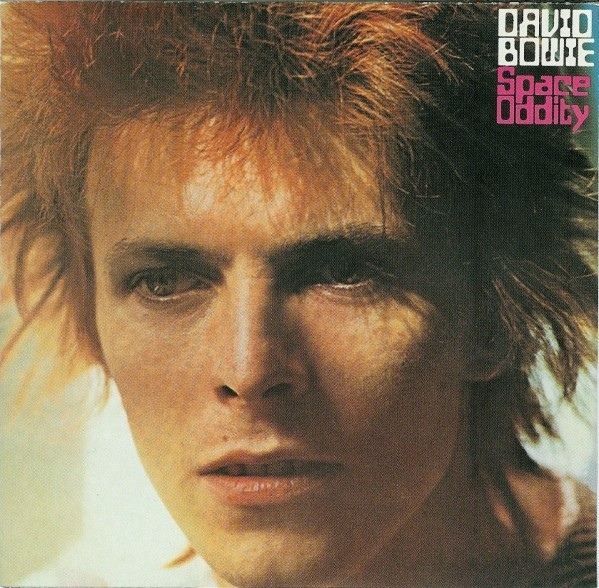 Sure, “Space Oddity” was a terrific single, but apart from “Memory of A Free Festival” or “The Wild-Eyed Boy From Freecloud” there was not a lot to write home about from here. The single mix of the former was an interesting way to edit down a long album track that no-one much does any more, but James Brown had made it an artform in the 60s-70s. The track was split into a “part one” and “part two” on either side of a 7″ single. 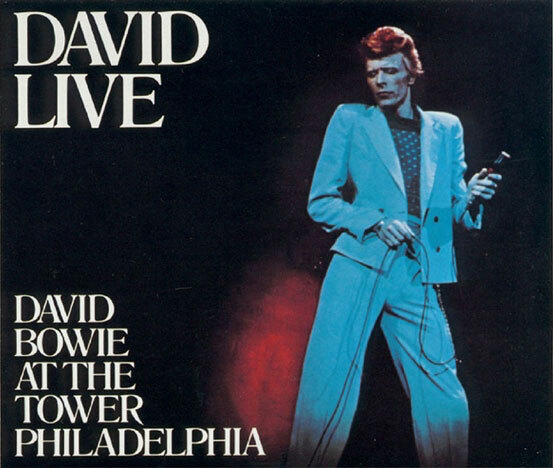 The first live album had the excellent “Time” and an Ohio Players cover added to the program. It was interesting to hear the rare US single version of “Rebel Rebel” be the version of the song played live here. The vocals were pretty rough and the circumstances by which the album had been recorded in 1974 [the band discovered that the gig was being recorded without a recording session payment so they called a wildcat strike until Bowie paid them out of pocket but the damage was done]. The thing I take from this one was the piano of Mike Garson; always a pleasure to hear. The second double live album from just four years later has its detractors, but I would not be one of them. True, the sequencing was wonky [the songs were originally arranged in chronological order of release until the 2006 RM], and the audience presence was minimized to the point of sterility, but Bowie’s vocals are worlds superior to “David Live.” He was really working from a place of strength here and it was a pleasure to hear him in full Scott Walker mode. Brecht + Weil’s “Alabama Song” was the bonus track here. The final Rykodisc edition was the 1983 live album of the 1973 tour that I had never heard. Everyone says that the Santa Monica bootleg from the US tour was superior, but I’ve not gotten that one. It’s a snapshot of a significant era for Bowie but aside from the superb medley of “The Wild-Eyed Boy From Freecloud/All The Young Dudes” there are no other moments of surprise or grandeur here for me. I still love the cover, though. Now that I had almost every Bowie album, the next step also occurred. Getting all of them. Even the ones I had avoided for over a decade! 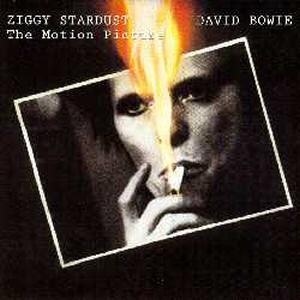 This entry was posted in Bowie, Core Collection and tagged 1990, 1991, 1992, 1999, David Bowie, David Live, live, Space Oddity, Stage, Ziggy Stardust The Motion Picture. Bookmark the permalink. I with you with when it comes to Stage. 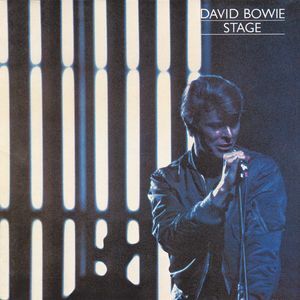 Maybe recording Bowie live is always going to be less than could be expected, but Stage is a great documentation of the Thin White Duke Era. Echorich – I think you nailed it. I have many Bowie live albums and none of them are “go-to” recordings. His voice is in fine fettle on “Stage,” though. Tony V. Made the decision to record that show in as isolated a fashion possible, to allow for the fullest amount of studio wizardry to the recorded tracks. So much so that Tony was able to remix a 5.1 version of “Stage” a decade ago. 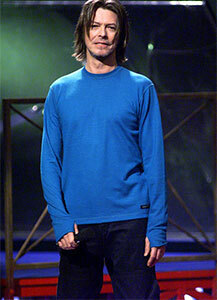 I wouldn’t bother, personally, but I would not mind the 2006 2.0 version with the full show in order, in a new TV mix. Love Stage. The set design, costumes etc. clearly had a massive influence on the new wave ‘style’ that was just around the corner. not surprising when you think of all the Bowie disciples, probably in attendance at these shows, who were in bands or would go on to form them, plus all the others who would go into design careers etc. A style I will always be drawn to. SimonH – I should really get Tony V’s redux of that title. The arbitrary chronological sorting of the songs seems kind of labored. The staging of Isolar as you said resonated and endures because there wasn’t an ounce of fat to it; unlike the non-dairy whipped creme and lard confection which was the rancid-on-serving Glass Spider Tour.